abide yoga offers a variety of classes that emphasize movement or stillness or a little bit of both. aiming to meet students where they are, our class schedule offers something for everyone. All vinyasa classes link breath with movement and incorporate standing postures, balances, backbends, inversions and renewing forward bends. Flow to an awesome soundtrack! We will visit different years, genres of music, bands, and musical themes in this super fun all levels/intermediate vinyasa flow class. Stay tuned to our Facebook page to see which music we'll be playing this week. Get strong, get steady, get ready to make some change happen! Energizing music, strong vinyasa flow, and a great community vibe are the hallmarks of this class. Standing, seated, and balancing poses, all slowed down to help you really feel what you're doing. Perfect for those just starting out on their yoga journey. A more passive approach to the physical practice, Yin & Restorative classes offer time to relax, rejuvenate and restore. These feel-good classes are great on their own or to offer the perfect balance to vinyasa-style practices. Yin & Restorative classes are great for yogis of all levels. Yin yoga is a still practice during which the asanas are done seated or reclining on the floor. Each pose is held from 1-10 minutes and helps to safely release tight connective tissue, joints, and fascia. It also helps us to learn to keep our bodies and our minds still. Release and relax while being fully supported by different props and hands on assists. This 75 minute class will leave you deeply rejuvenated. Perfect for anyone with a fast paced or stressful lifestyle who would like the chance to totally let go and calm down. Using props, and staying low to the ground, we'll visit a variety of yin and restorative yoga poses designed to help ground you, steady you, and get you into the headspace for good sleep. hybrid classes offer the "best of both worlds" incorporating the yin and the yang of yoga, the balance between movement and rest. A gentle, low to the ground practice exploring breath awareness and the edges of your personal practice. Subtle movement is key; A mindful, stretch-y, low-structure class. "Restorative in Motion". Especially recommended if you live a high-stress, fast-paced lifestyle, if you have anxiety, or if you are the parent of small children ;). The same as Slow + Low, but themed each week with a tarot card reading. This creative class features seated poses, deep stretches, and some strengthening poses. An hour of Slow Vinyasa Flow and 15 minutes of seated or reclining guided meditation. Our early morning class. Begins with a nice long warm up, moves into some heat building poses, and ends with a mini yoga nidra to refresh your connection to yourself. Loosen yourself from stress and anxiety with this sweet class that nurtures your deepest core muscles (such as the psoas) and can help to alleviate chronic stress response. This class consists of core strengthening poses, a healthy dose of of yin and restorative yoga poses, and is appropriate for students of all levels. Delicious, relaxed movement designed to ease physical tension, followed by a deeply rejuvenating Yoga Nidra. The perfect way to end your work week! Our weekly Pay What You Can full length yoga class. Come as you are, breathe, move, and rest. YOU ARE WELCOME HERE. relax the mind, soothe the body, connect with your baby and other moms-to-be. birth partners are welcome! Prenatal Yoga - One of the only weekly prenatal classes in Cleveland! guided meditation to help you tune in to yourself and quiet your busy mind. All Meditation classes are community donation based offerings. Suggested donation is $5-10. PRIVATE SESSIONS and PRIVATE CLASSES AVAILABLE - Want to approach your yoga practice one one one, or in a very small group setting? I can work with your specific needs to formulate a custom-made sequence of poses. 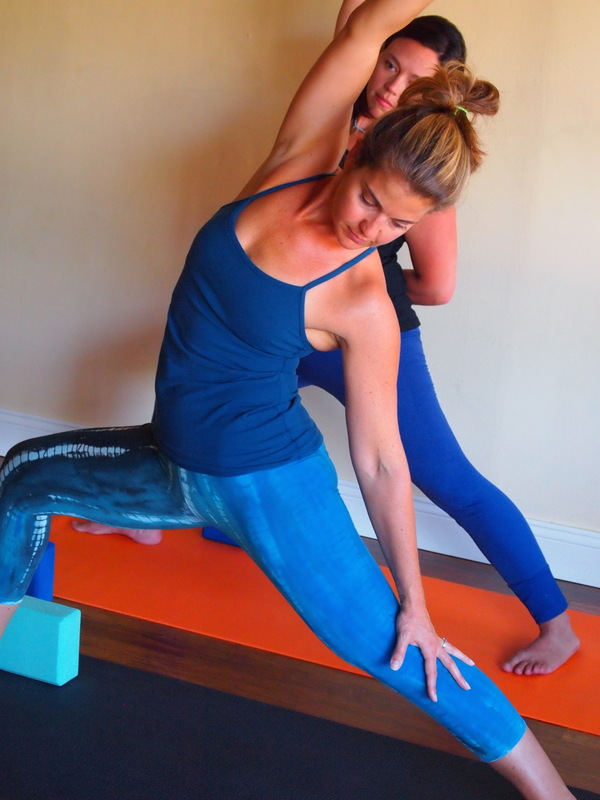 Private sessions are conducted at Abide Yoga on Larchmere in Cleveland or in your home. YOGA PARTIES available for adults and children alike. What better way to begin your next trip around the sun, your wedding day, or other special life event than with some yoga with your friends and family.